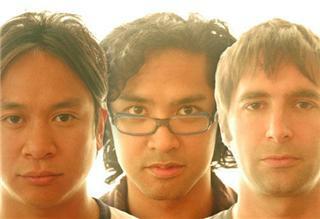 +/-, or Plus/Minus, is an American indietronic band formed in 2001. The band makes use of both electronic and traditional instruments, and has sought to use electronics to recreate traditional indie rock song forms and instrumental structures. The group has released two albums on each of the American indie labels Teenbeat Records and Absolutely Kosher, and their track "All I do" was prominently featured in the soundtrack for the major film Wicker Park. The group has developed a devoted following in Japan and Taiwan, and has toured there frequently. Although many artists append bonus tracks onto the end of Japanese album releases to discourage purchasers from buying cheaper US import versions, the overseas versions of +/- albums are usually quite different to the US versions - tracklists can be rearranged, artwork with noticeable changes is used, and tracks from the US version can be replaced as well as augmented by bonus tracks.